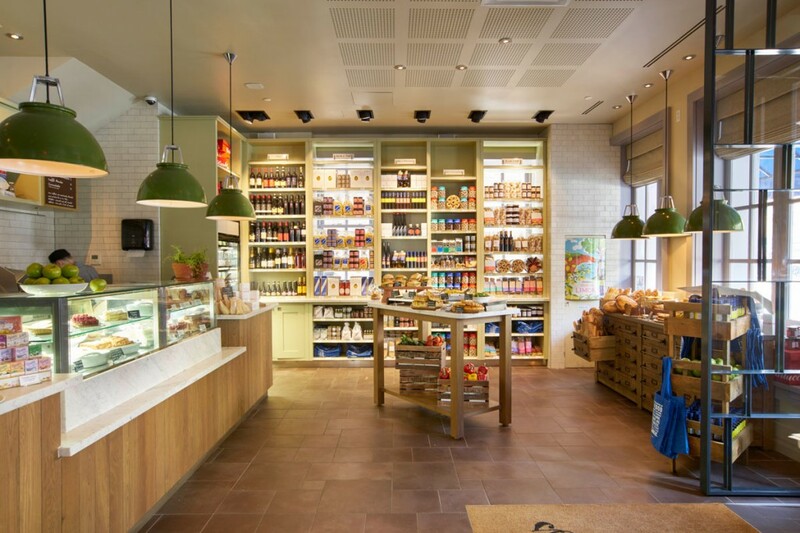 This flagship site is Carluccio’s first in the USA. 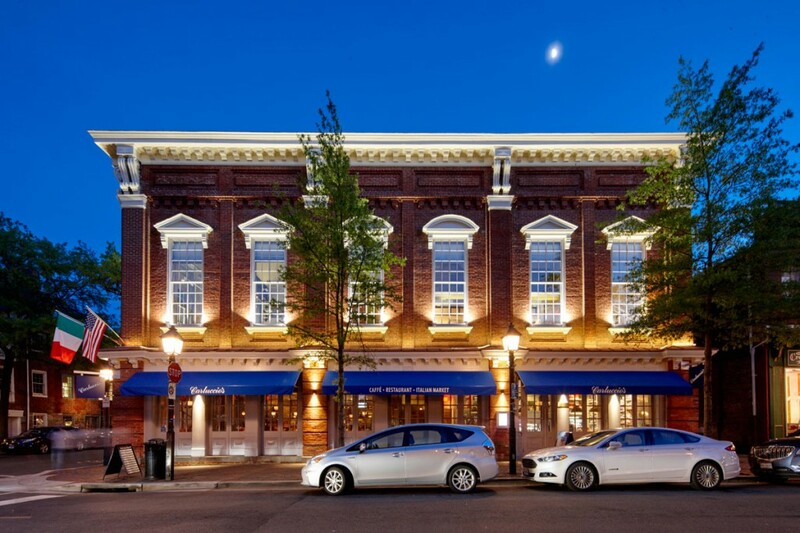 It is a beautiful historic three-story building in the heart of Alexandria, Virginia’s Old Town neighbourhood and a suburb of Washington DC. 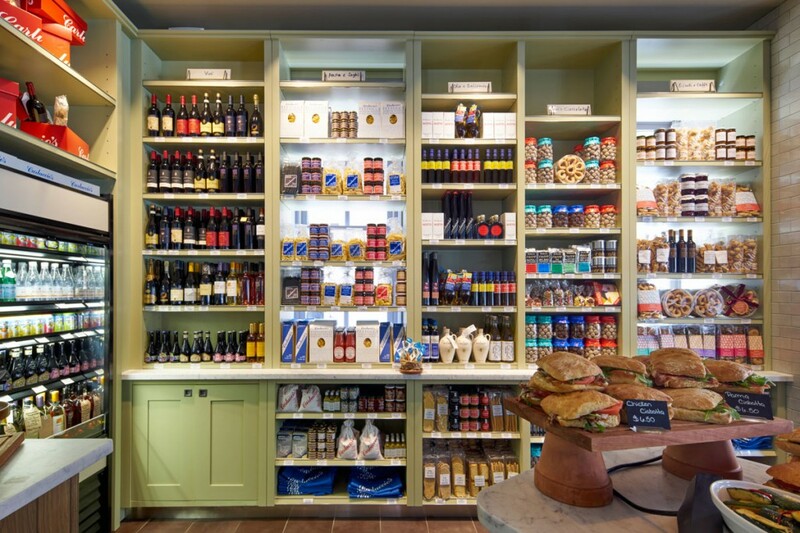 The interior design by designLSM takes inspiration from other Carluccio’s stores and lighting was to focus on food displays and create a fresh and inviting environment. Recessed adjustable gimbals evenly light food display areas at the entrance, inviting customers inside. 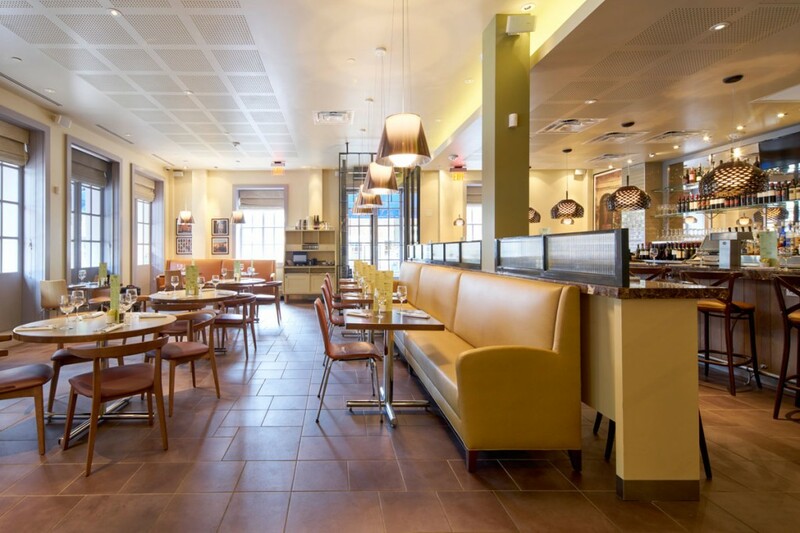 Key areas of the ground and first floors are highlighted with feature pendants that fit with the Carluccio’s brand. 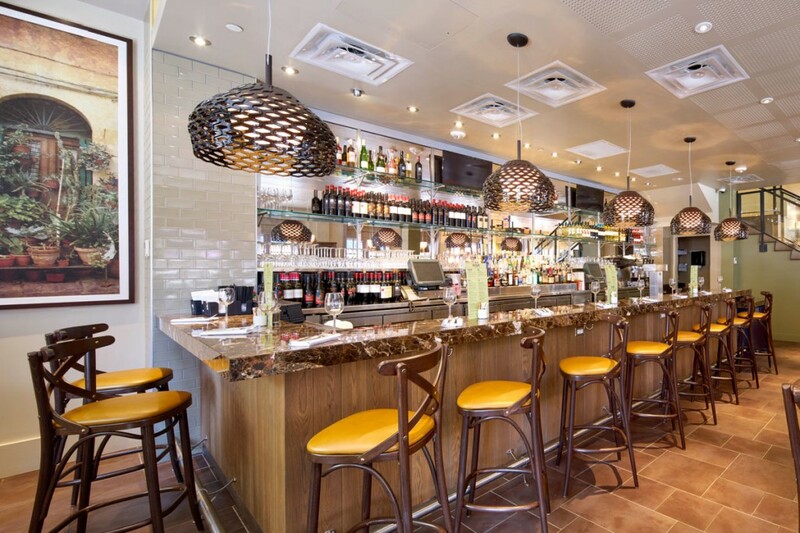 Large windows bring in lots of natural light, while a sense of intimacy is created in the dining areas in the evenings through a combination of low-hanging pendants, adjustable downlights and linear LED lighting details to coffers. 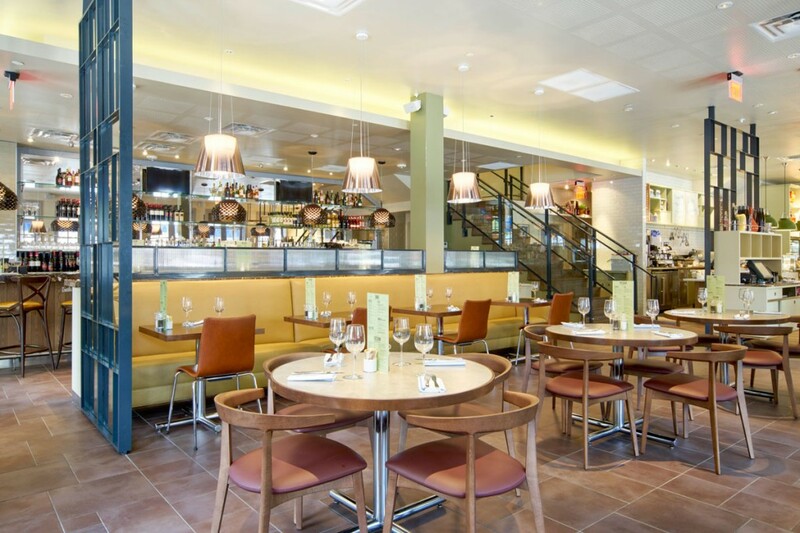 A combination of lighting treatments and pendants not only tie in with the Carluccio’s brand of clean, fresh Italian food and dining, but also evenly light displays and create a sense of intimacy in a space with high ceilings and much natural light.